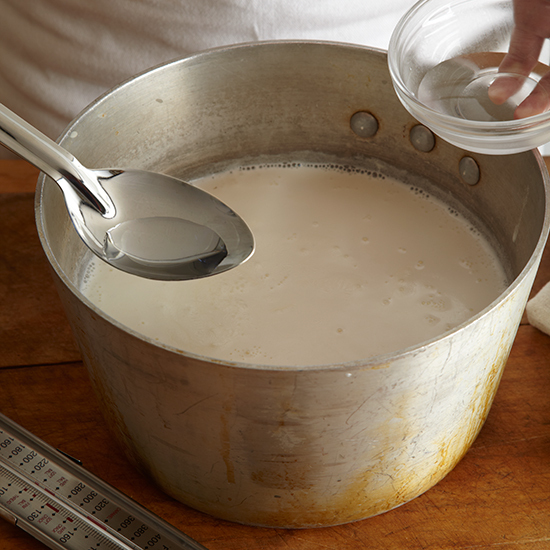 Pour 3 tablespoons of white vinegar into a large saucepan of 2 quarts hot milk and 1 cup cream. 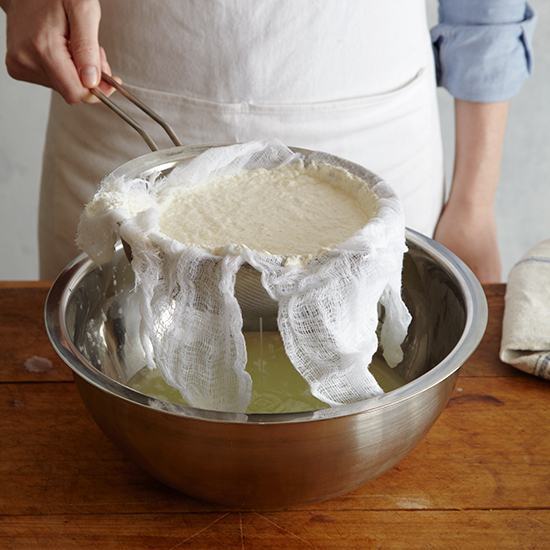 Pour the mixture into a double layer cheesecloth-lined strainer set over a bowl. 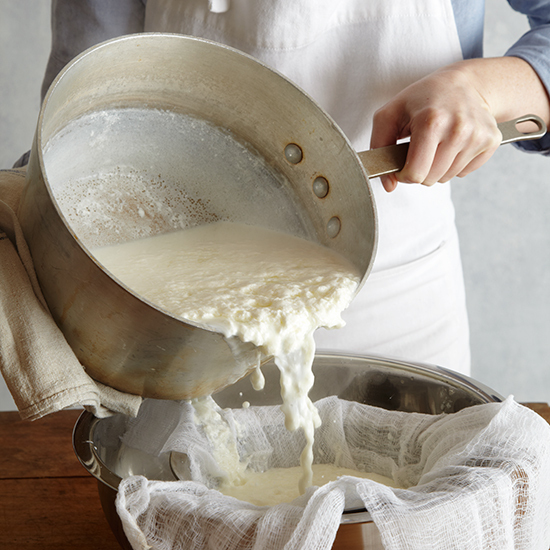 Shake the strainer to remove water from the ricotta. 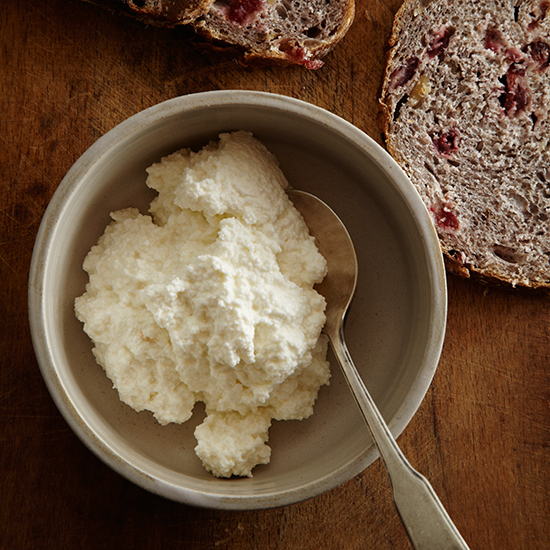 Enjoy with salads or spread on toast with a little honey.